A Houston police officer shot and killed a man after he pointed a gun at the officer during a traffic stop. Authorities released body cam and dash cam footage from the March 29 officer-involved shooting. 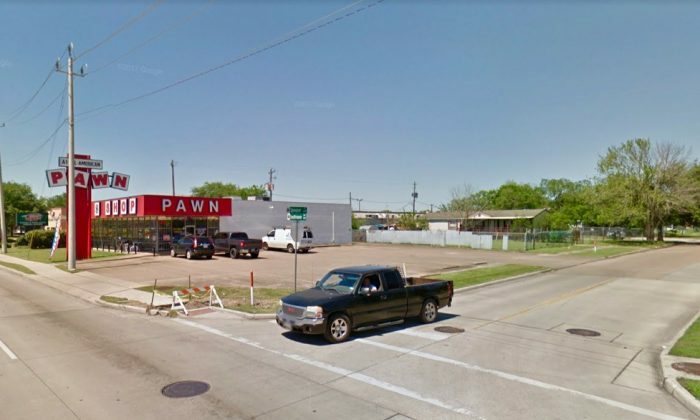 The officer told the driver, 44-year-old Marco Antonio Saavedra, to “stay in the vehicle” and to show “show me your hands” before Saavedra pointed a gun at the officer. The Pasadena Police Department identified the officer as Marc Adams, a 40-year-old, 13-year veteran of the department. Adams fired several times upon seeing the weapon pointed at him, hitting Saavedra on the left side, according to Fox News. Saavedra again lifted the weapon and Adams fired more shots, including one that hit the passenger window of his police vehicle, according to Fox News. There are conflicting reports about whether or not Saavedra actually fired his weapon. Saavedra had a warrant out for his arrest because he violated an order of protection held by his wife. He was indicted in 2016 for causing bodily harm to a family member. In 2012 he was convicted for assaulting his wife. Saavedra’s daughter said that he told her before that he wanted “to do suicide by cop,” according to court records obtained by the Houston Chronicle. Adams was placed on administrative leave. A grand jury will decide if the shooting was justified, Fox News reported.